As striking features of the natural environment, glaciers often play a role in the history and culture of the regions where they are found. In some places glaciers are revered: Quechua pilgrims travel into Peru's high Andes to visit sacred glaciers during the religious Quyllurit'i festival. But in pre-enlightenment Europe, glaciers were more often viewed with fear due to the destructive forces they could unleash on local communities. The myth of the cursed glacier found in the European Alps is a good example of this sentiment. 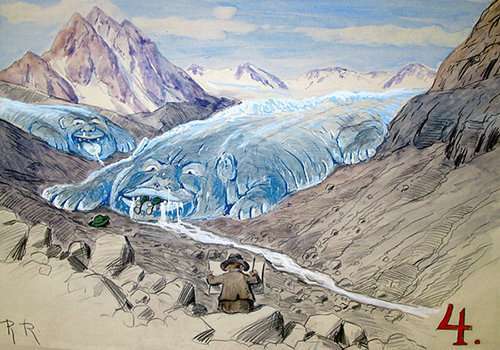 Some historians have suggested that the myth of the cursed glacier may have some basis in fact. From the 16th to the 19th century, Europe experienced a period of cooling temperatures called the "Little Ice Age." Alpine glaciers regularly advanced during this period, causing difficulties for highland farms and villages. Some historians even go so far as to link cool temperatures with famines that helped spark the French Revolution. But Europe's Little Ice Age also posed something of a scientific mystery: why did glaciers in the Alps begin retreating around 1850 even though temperatures didn't warm significantly until the end of the century? Scientists now believe the culprit was the Industrial Revolution. As glaciers have continued to recede across Europe, some Alpine communities have taken unusual steps to protect them. During the summer months, the tongue of Switzerland's Rhone glacier has been covered with blankets to help insulate it, and researchers have proposed spraying artificial snow on the popular Morteratsch glacier to help slow its retreat. 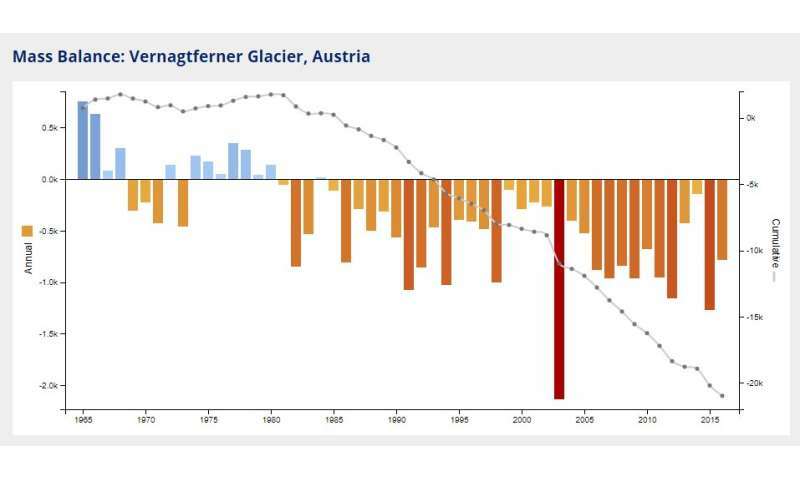 But such measures may only delay the inevitable: scientists have suggested that the Alps' glaciers may be gone by the turn of the next century.